Unaged whiskey helps young microdistilleries keep afloat. There’s just one problem: It tastes awful. Most serious whiskey fans seem content to let the white whiskey fad of recent years slip into oblivion alongside Crystal Pepsi and New York Seltzer. The term white whiskey is basically a marketing name for what distillers call white dog, referring to grain-based spirits that haven’t been aged in wood to improve their flavor. When sold illegally, it’s just called moonshine, but legal sales of white dog in recent years have helped upstart microdistilleries earn immediate revenue while their whiskies age. That’s because white dog can be bottled and sold immediately after being distilled without accruing any additional storage and aging expenses. The moonshine connection has been a useful marketing gimmick for hip urban bars, but there’s one considerable downside to white dog: It tastes horrible. Regardless, distilling giants Jack Daniel’s and Jim Beam are joining the bandwagon. 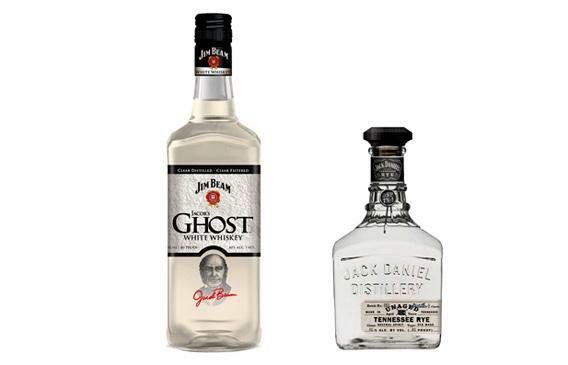 Daniel’s recently released its Unaged Tennessee Rye, and Beam started selling a minimally aged spirit called Jacob’s Ghost last month. Some whiskey industry watchers fear the new products threaten the livelihood of young microdistilleries that survive off white whiskey sales. Others, such as Charles K. Cowdery, author of Bourbon, Straight and The Best Bourbon You’ll Never Taste, are holding their judgment to see if the new products will help small producers by legitimizing a style many whiskey connoisseurs roll their eyes at. Whatever the outcome, the distilling giants’ new products epitomize the reasons many whiskey drinkers find white whiskey so annoying.